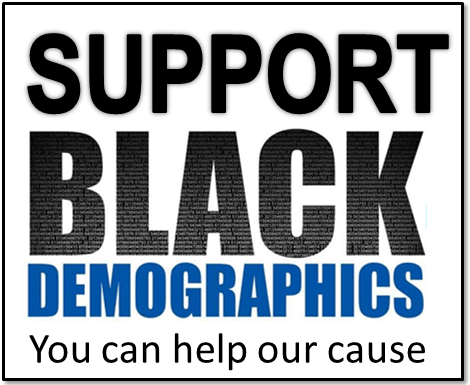 Although African Americans have an unemployment rate almost double that of the overall population, the Black workforce is just as diverse. 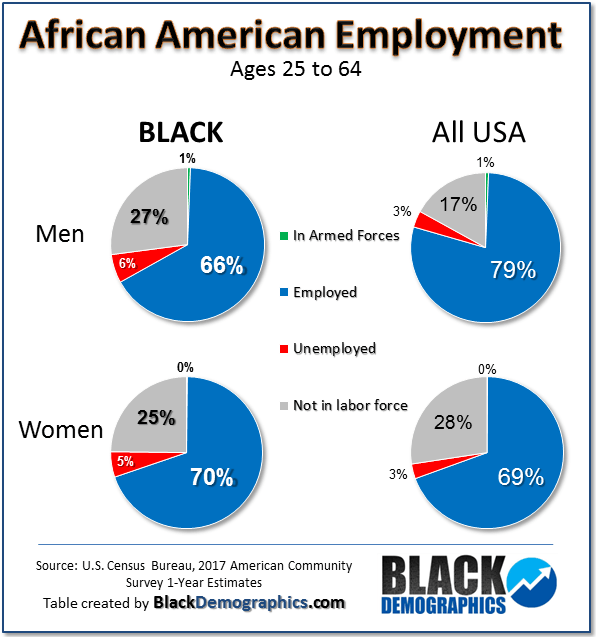 In 2017 about 73% of Black men ages 25 to 64 were in the labor force including 66% who were employed, 6% who were unemployed, and 1% in the armed forces. This compares to the 83% of all men nationwide who are in the labor force. People who are not in the labor force are not looking for work for various reasons including full-time school, disabled, homemaker, incarceration, etc. Black women have made the greatest strides recently. In 2017 35% of Employed Black women have jobs in management, business, science, and arts occupations (up from 33% in 2011) compared to 24% of employed Black men. As a matter of fact 65% of working Black women held “white collar” occupations compared to 42% of Black men. Thirty six percent of employed Black men hold “blue collar” occupations compared to 9% of Black Women. 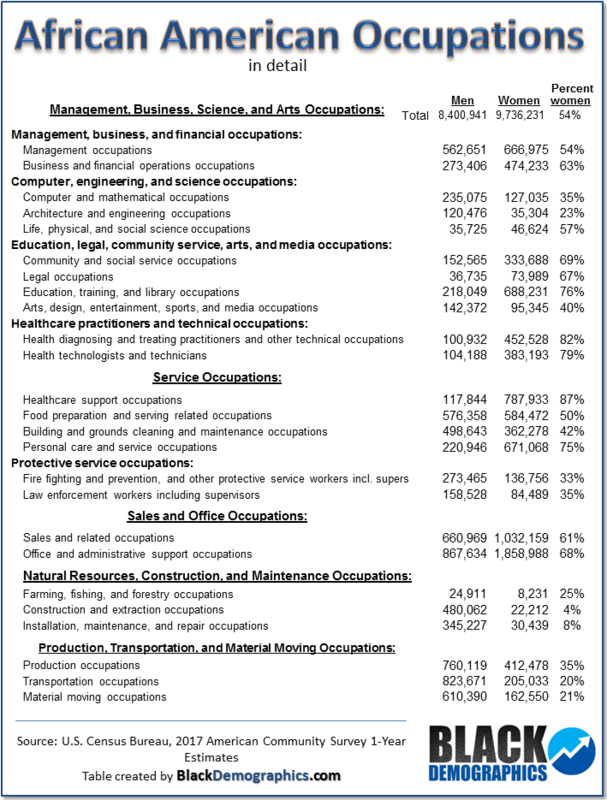 The table below goes into more detail regarding African American occupations.